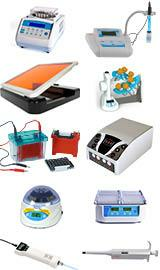 We offer a large variety of research products for molecular biology. A large selection of kits are available for the purification of DNA. These genomic DNA purification kits purify high quality genomic DNA from a wide variety of sources and for a wide array of applications. OmniPrep™ genomic DNA kits are for ultra pure genomic DNA that is suitable for all downstream applications and fully scalable for large genomic DNA isolations. GET™ genomic DNA isolation kits are spin column format kits for the rapid isolation of DNA from small sample sizes. XIT™ kits require no chloroform or phenol extraction and produce protein free, high quality DNA. 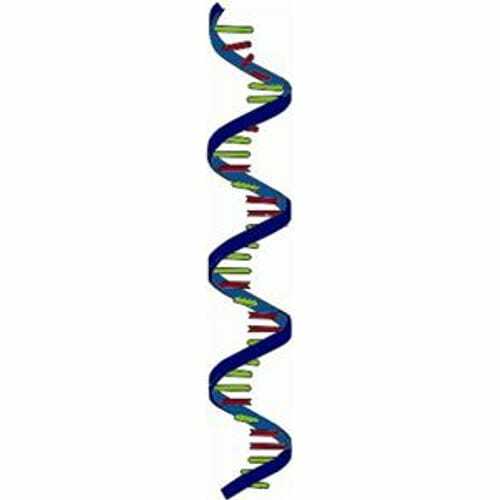 OmniTemplate™ is designed for the rapid generation of PCR ready genomic templates. MegaLong™ genomic DNA extraction kits allow for DNA extraction from a variety of samples, including animal tissues, cultured cells, whole blood, bacterial and yeast. A selection of products for plasmid DNA isolation, transformation and high throughput screening of plasmids can be found. 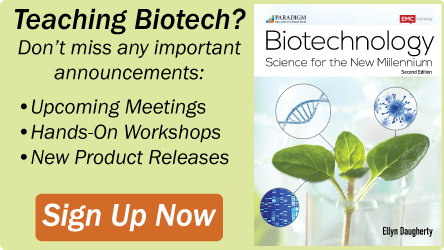 Products include our unique and easy-to-use Plasmid Screening Toothpick™, which rapidly screens colonies for plasmid DNA, HP-Ampicillin™, which eliminates the problems of satellite or background colony formation and chemicals including Isopropyl β-D-1-thiogalactopyranoside (IPTG). 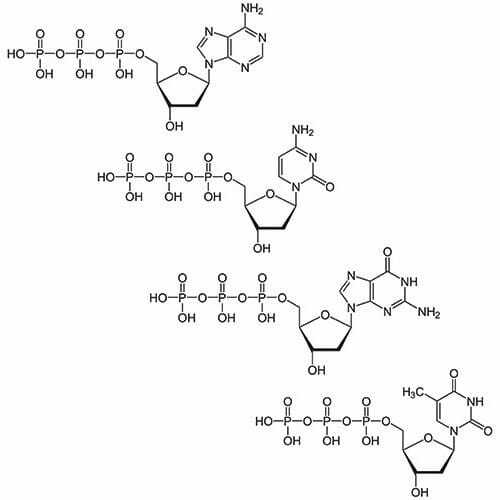 We offer a wide array of kits, enzymes and reagents for PCR (polymerase chain reaction) including Taq Polymerase and dNTPs (Deoxynucleotides). We have products for the isolation of RNA a including TOTAL Arrest™ RNA kit which isolates total RNA from contaminating DNA, proteins, and nucleases and is suitable for animal and plant tissues, cultured cells, blood and bacteria. 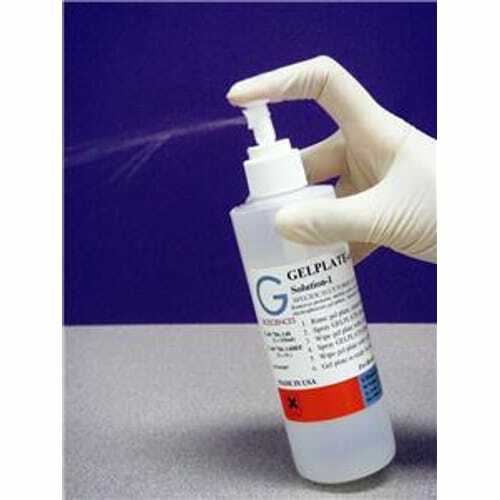 Products for the detection and decontamination of RNase are available. RNaseOUT™ kills RNase on contact. 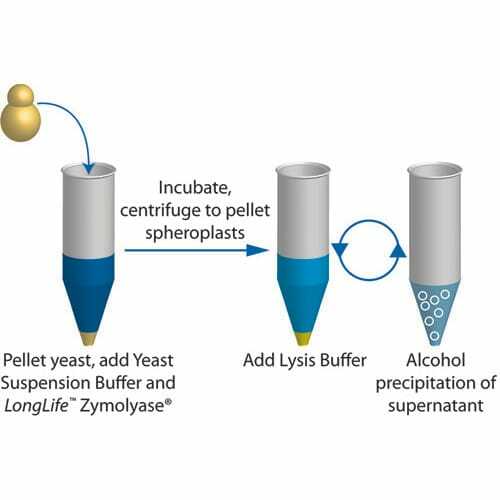 Numerous yeast research tools and accessories are also available to aid researchers in a wide variety of applications using yeast. A full range of accessories, reagents and buffers for cell biology research are also available. Arrest™ Extraction Buffer is an optimized combination of various chaotropic agents and RNase inhibitors, which inhibits RNase in 5-10 seconds. Arrest™ Extraction Buffer may be used in conjunction with any RNA extraction method, including extractions based on phenol, chloroform and other .. The dNTP Mixes are ready-to-use aqueous solution at pH7.0 containing dATP, dCTP, dGTP and dTTP, each at a final concentration of 10 or 25mM. It has been functionally tested in PCR with Taq and Pfu DNA polymerases. The mix is Endo, exo-ribonuclease, ribonuclease and phosphatase free. .. The dNTPs consists of aqueous solutions at pH7.0 of dATP, dCTP, dGTP or dTTP in 100mM concentration, each supplied individually. The dNTP set offers maximum flexibility in the preparation of reaction mixes for different applications, since the nucleotides are supplied separately. 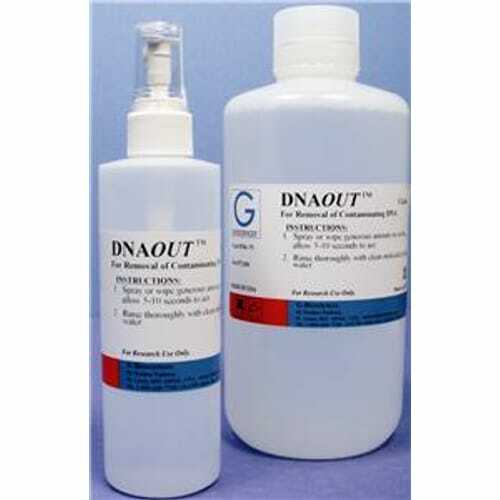 Applications..
DNA OUT™ is formulated to quickly remove DNA and RNA contaminations from glass and plastic wares. Simply spray and rinse. DNA OUT™ is non-toxic and leaves no residues to interfere with downstream applications. The fast acting DNA OUT™ allows laboratory equipment and work areas to be made free from D..
For Cleaner Backgrounds A high performance hybridization buffer system providing researchers with unprecedented simplicity, reliability, accuracy, and cost saving for hybridization. 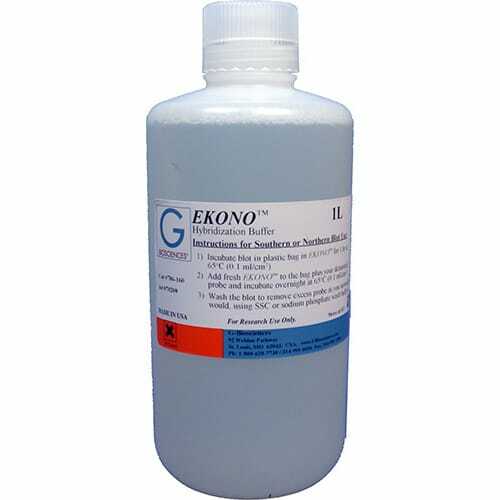 EKONO™ hybridization buffer is suitable for all types of probes. Protocol involves incubation .. The EZ Yeast™ Plasmid Prep kit is designed for the rapid isolation of 2μ plasmids from yeast patches or yeast grown in small liquid cultures. The kit is adapted from the alkaline lysis of E. coli, by providing modified alkaline lysis buffers and our LongLife™ Zymolyase®, a highly ..
Fast Yeast Transformation™ kit is a rapid single step yeast transformation kit that takes less than 10 minutes to prepare competent yeast cells. 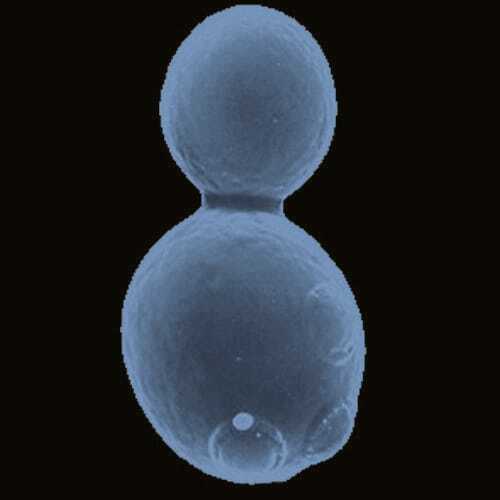 The competent yeast cells can be used immediately or frozen for later use. This method is suitable for both circular and linear plasmid transformatio..
FASTSilver™ is one of the most rapid and sensitive methods for detecting proteins and nucleic acids fractionated by PAGE. 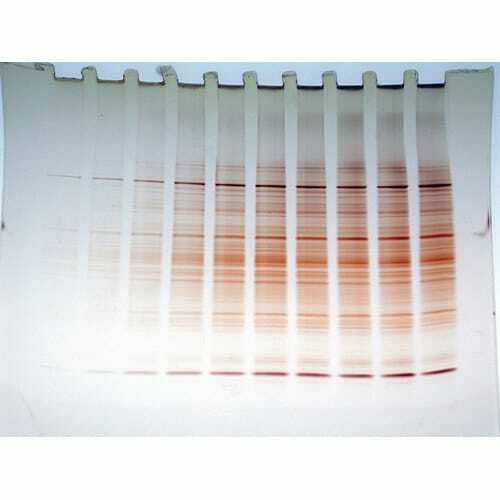 Staining is 100 times more sensitive than Coomassie Blue protein staining and 10 times more sensitive than ethidium bromide for DNA and RNA. FASTsilver™ is a nanogra..
Electroelution of nucleic acids and proteins has many advantages as it avoids centrifugation, vortexing, heating, precipitation and allows minimal manipulation of samples. Electroelution normally involves dialysis tubing, which results in extreme dilution of precious samples. 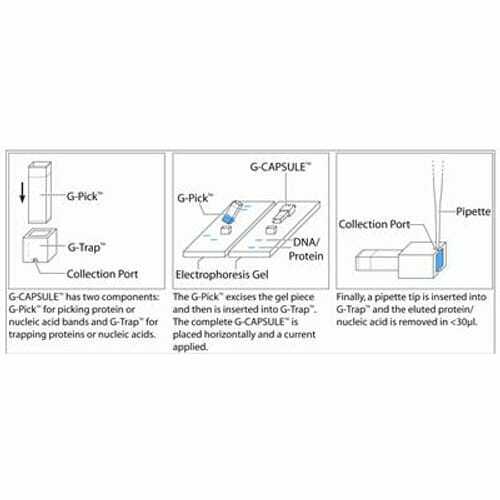 G-Capsule™ is a s..
Spray and Wipe; Specifically Formulated For Electrophoresis Gel Plates Clean your electrophoresis plates with GELPLATE-clean™ and prevent poor electrophoretic band migration, band distortions, and poor image development. 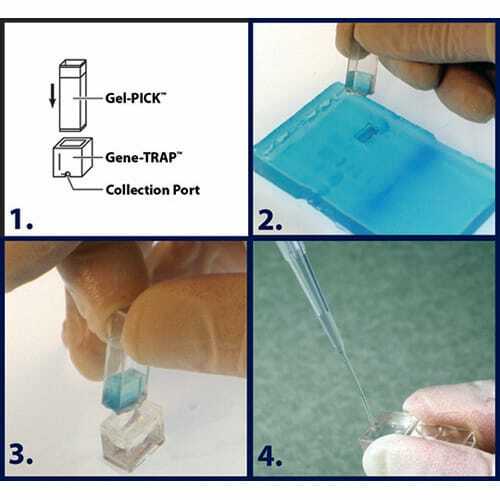 Simply spray and wipe clean your electrophoresis plates with GEL.. This product is being discontinued. An improved version of this product is now available. Click here for more details The kit is based on pinkRESIN™, a high capacity, proprietary binding resin matrix for nucleic acids. 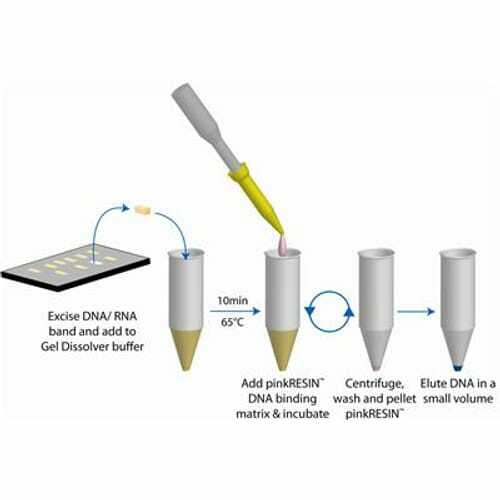 pinkRESIN™ has an enhanced binding affinity for DNA..
A Mini Horizontal Gel Electrophoresis System A simple and economical device for a variety of agarose electrophoresis applications. 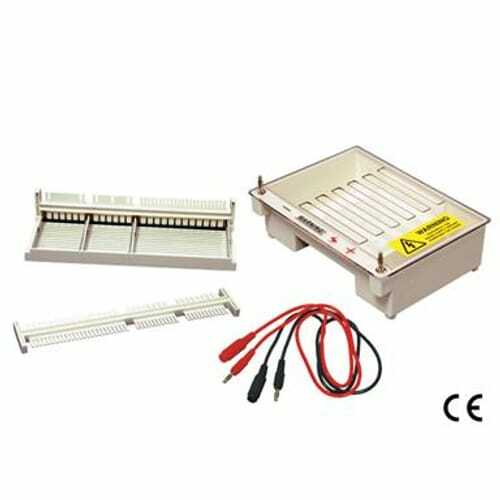 Supplied with agarose gel casting tray, horizontal tank, and optional mini power supply unit (Complete-Electrophore™). The ultimate in simplicity..